The Reliant group is an innovative and dynamic company leading the way in storage tank technologies and techniques. 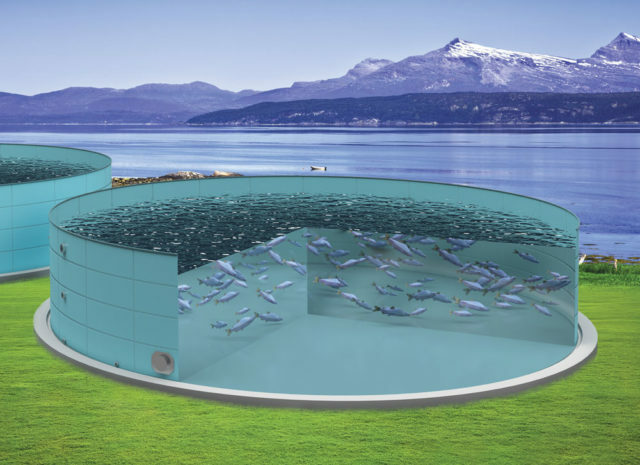 We have recognised the shift in the aqua culture industry, from the extensive sea cage rearing of salmon and other species towards the use of land based RAS systems. Historically smolt tanks were very small and even the larger rearing tanks were usually below 700m³. At the time these smaller tank sizes were generally made from cheap PVC or GRP. There is now a growing demand for tank capacities in the thousands of cubic meters, well beyond the economic range of both PVC and GRP. Reliant Glass fused to steel (GFS) Tanks are setting the new standard with the strength of steel and the corrosion resistance and easy clean properties of glass. 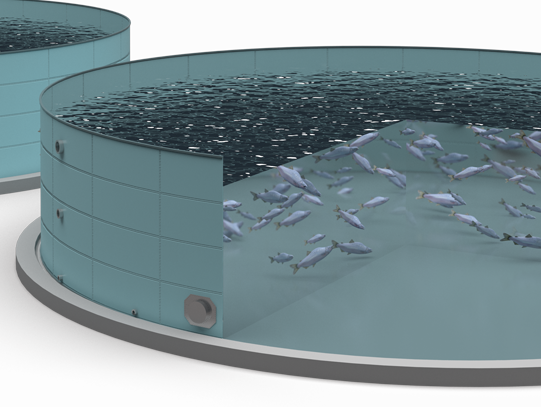 Sized from 10m³ to 20,000m³, the tanks are hugely cost effective, the larger the tank the lower the unit cost per m³. Flexible in specification, our tanks are available in a range of diameters, heights and capacities to suit your needs. Reliant tanks are based upon tried and tested GFS technology, widely recognised across a range of industries and applied worldwide. Together with the manufacturers, we have developed the best coating mix to suit the requirements of the high end aquaculture industries involved. The tanks are supplied and erected by our dedicated Reliant installation teams on site without the logistical problems associated with other large capacity tank suppliers as the tank kits are transported on flat container compatible pallets for easy transportation. Every ISO quality standard is achieved in the factory rather than on site and final testing is done on completion at handover, together with full certification and guarantee resulting in consistent, repeatable quality with every tank, anywhere in the world.